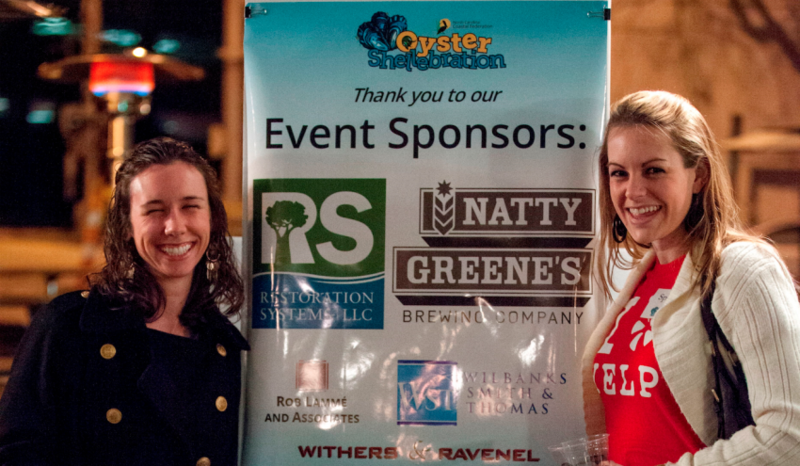 Looking for a way to help the coast while aligning your business with a great audience? A listing of our sponsorship opportunities coast-wide and in the triangle is below. For more information, contact our development officer, Catherine Snead, at 252-393-8185 or email catherines@nccoast.org. Our annual event will celebrate North Carolina’s beautiful coast and delicious seafood. This year’s celebration will feature gourmet seafood selections from more than 10 local restaurants, as well as fresh, local oysters from different waters of our state, including Stump Sound, Hatteras and more. There will also be a silent auction and live music. This event will take place on Saturday, Aug. 3, on the banks of Bogue Sound at the Crystal Coast Civic Center in Morehead City. Sponsorships: $250, $500, $1,000. Sponsors are recognized that evening and receive tickets to the event. All program sponsors are recognized during the program, online and in promotional materials. The federation leads hands-on education programs for students of all ages up and down the coast. Programs range from summer camps on Jones Island in the White Oak River, to scientific monitoring of restored wetlands, to interactive lessons on stormwater pollution and what we can do to help. Ever wonder what a live shrimp, crab or whelk looks like? Visitors to our Coastal Education Center at Wrightsville Beach enjoy hands-on experiences at our touch tanks. Fish and shellfish are carefully collected and released each day. Guests are invited to float in any time between 10 a.m. and 1 p.m. every Tuesday from June to August. The federation leads beach and marsh clean-ups up and down the coast throughout the year, cleaning up trash and debris that pollutes our beaches and waterways, impacts wildlife and spoils our beautiful coast. Volunteers enjoy good company and the satisfaction of giving back. The federation manages nature trails at Hoop Pole Creek in Atlantic Beach and at Patsy Pond in the Croatan National Forest. These trails allow public access to spectacular views of our coastal marsh and forest habitats. Maintenance and upkeep includes signage and educational displays as well as invasive plants and trail maintenance. The federation reaches thousands of individuals annually. These are people who live and visit the coast and care about keeping our coast healthy and beautiful. Sponsorships provide funding for the federation’s restoration and education programs. For more information, contact our development officer, Catherine Snead, at 252-393-8185 or email catherines@nccoast.org.